Give Me My Remote > When will Arrow end? Arrow — “Emerald Archer” — Image Number: AR712B_0414b — Pictured (L-R): Stephen Amell as Oliver Queen/Green Arrow and Echo Kellum as Curtis Holt/Mr. Terrific — Photo: Shane Harvey/The CW — ÃÂ© 2019 The CW Network, LLC. All Rights Reserved. 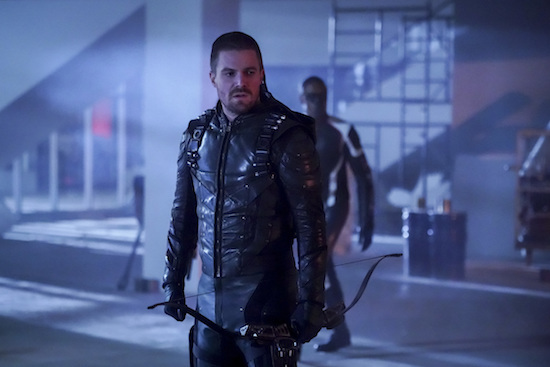 ARROW will end with its upcoming eighth season, The CW and Warner Bros. Television announced. The final year will consist of 10 episodes. Tags: Arrow, Arrow ending, Arrow final season, Arrow season 8, When will Arrow end?